I have been meaning to make my way out to Axil for months, so this week when I finally had a free morning, I made a bee line for Hawthorn and man was it worth the trip! 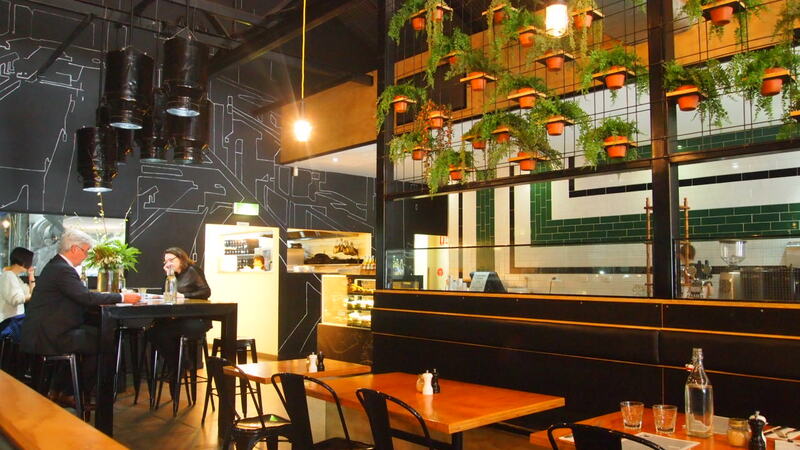 Set in a large ‘Melbourne’ style warehouse space – high ceilings, exposed beams, hanging pendant lights, vertical garden, exposed brick walls ect ect, on busy Burwood Road, Axil is incredibly popular with people from all walks of life. Although the city is littered with cafes styled in a similar fashion, there is something different about this place, it has so much life and soul in it and made me feel completely at ease as soon as I walked in. I absolutely loved the menu which breathes new life into many of the brunch staples we’ve come to expect and introduces us to new inventive dishes that will immediately have your mouth watering. This is one of those menus that’ll having you going, oh that sounds good, and oh my god, have you seen this one, to the extent that you’ll want to try just about every dish. 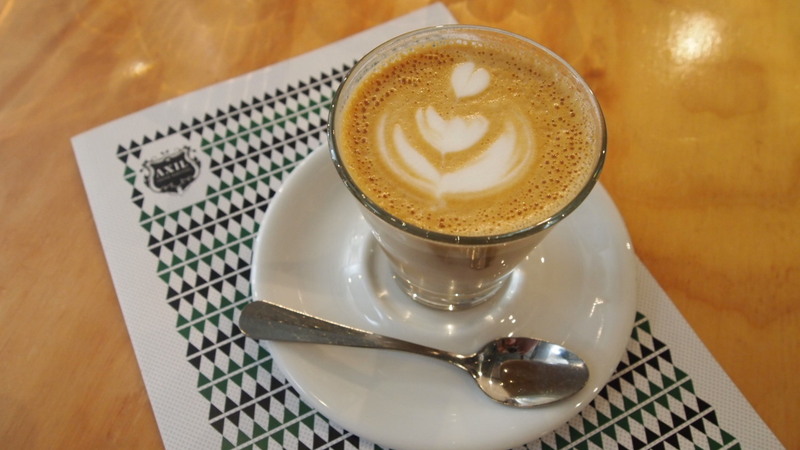 Their coffee game is just as strong, roasting their own blends which are also available for purchase and damn, their baristas brew a mean coffee, definitely one of the best in town. The Ferrero Roche waffle was out of this world, it incredibly rich, decadent and really satisfying. 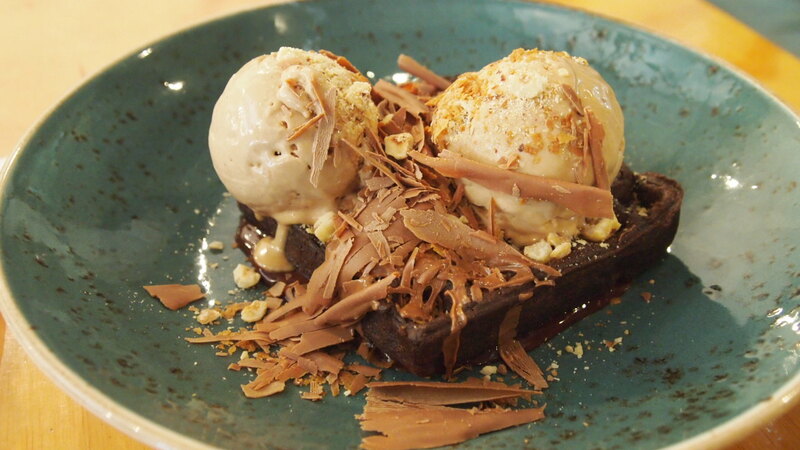 Set on a base of melted rich dark chocolate, the waffle itself was flavoursome, moist and crusty all at the same time. 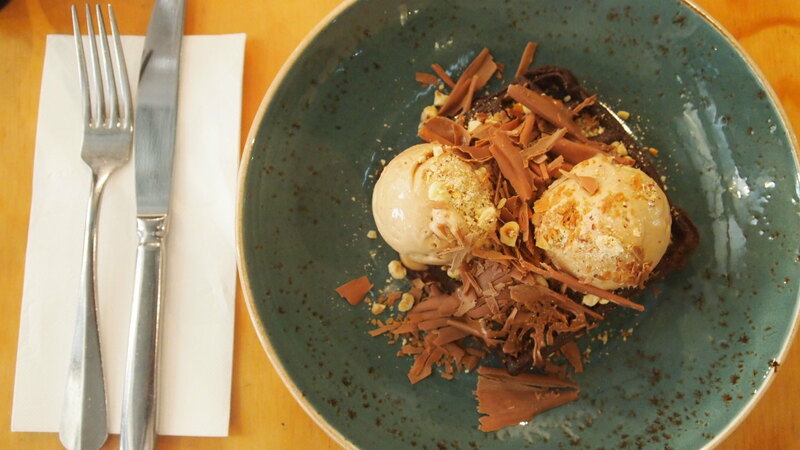 It was topped with the most divine homemade hazelnut parfait and sprinkled with roasted hazlenuts and crushed wafer biscuits. I’m a lover of all things sweet, this was my kinda awesome. I could eat it again, and again and again (followed by a serious gym session!). The zucchini, corn and haloumi fritters were also a big hit. 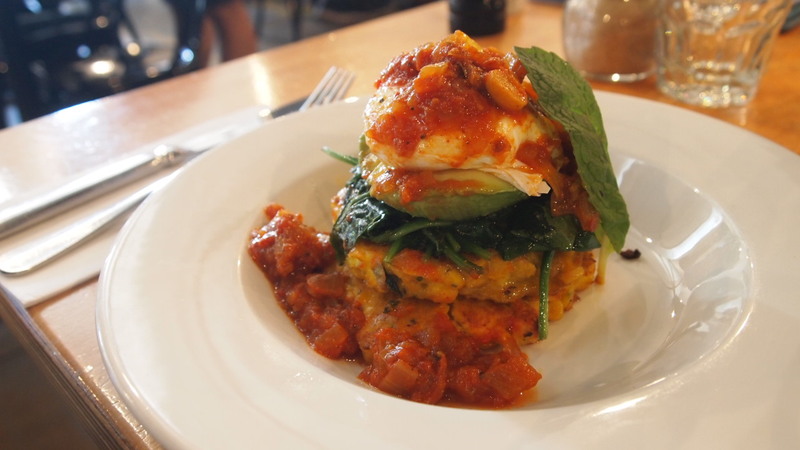 The fritters were lightly fried and served with some avocado, spinach, relish and a poached egg. The relish had a bit of kick to it, however this was balanced out by the avocado. The runny egg finished off the dish nicely. Two thumbs up for this one. 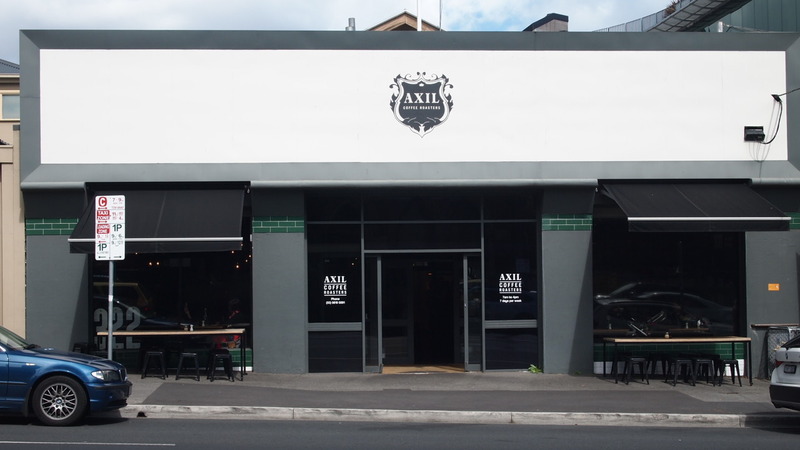 All in all I was really impressed by Axil, so much so I’ve added it to my top ten brunch spots in Melbourne. If you haven’t visited, don’t waste any more time, head on down there this week, you won’t regret it. OMG Ferrero waffle?! AMAZING!! And it looks so beautiful, too! It was just as good as it sounds! !